Born in Peel County, Ontario on 1 November 1863, son of James and Ann Riddell. After teaching briefly, he returned to Collingwood High School for matriculation and then attended Victoria University, Cobourg, graduating with a BA in 1889. After several years of circuit preaching in Manitoba, he accepted a dual appointment as lecturer in Latin and Greek at Wesley College in Winnipeg and as assistant minister at Grace Church. 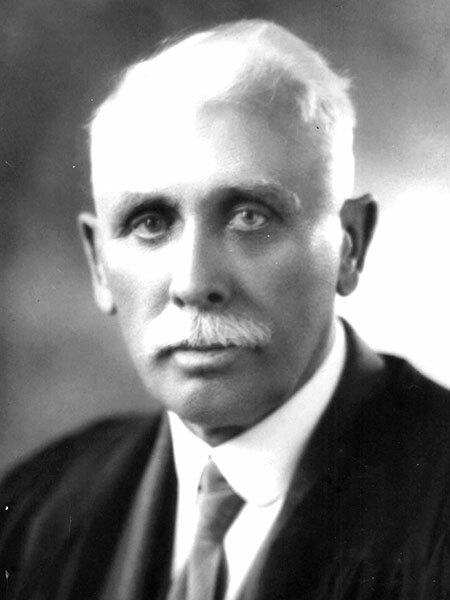 He founded Alberta College in 1903 and returned to Wesley College in 1917 as Principal. He remained for 21 years, fending off several challenges to his authority. Never a great scholar, he regarded one of his greatest academic feats as defending a downtown campus for undergraduates in arts at the University of Manitoba. Riddell received an honorary doctorate from the University of Alberta in 1913 and one from the University of Manitoba in 1938. In 1892, he married Florence May Armstrong (1870-1943) of Holmfield, with whom he had two sons. One of his sons, Harold Gordon Riddell (1896-1916), was killed in active service during the First World War. The other son was Robert Gerald Riddell. An unpublished autobiography and papers are in the United Church Archives, Toronto. Riddell Hall at the University of Winnipeg is named for him. “Principal J. H. Riddell: The Sane and Safe Leader of Wesley College,” by Gerald Friesen in Prairie Spirit, edited by Dennis L. Butcher et al. (1985), pages 251-264. Death registration [Florence May Riddell], Manitoba Vital Statistics. “Mrs. J. H. Riddell dies after long illness,” Winnipeg Tribune, 1 November 1943, page 2. We thank John Riddell for providing additional information used here.